Silvia Hartmann writes: Towards the end of 2010, I started writing a new Project Sanctuary manual. In the spirit of PS, I let my energy mind do its thing and really got into it. ... and enjoyed every minute of it. This wasn't like a "how to" book in the usual sense, it was the story of Project Sanctuary from the beginning, unfolding the whole thing as it developed over time. I also had the sense while I was writing it that there should be other things as well, images, quotes, poems, things like that and I vaguely worried about the publishing side of it. 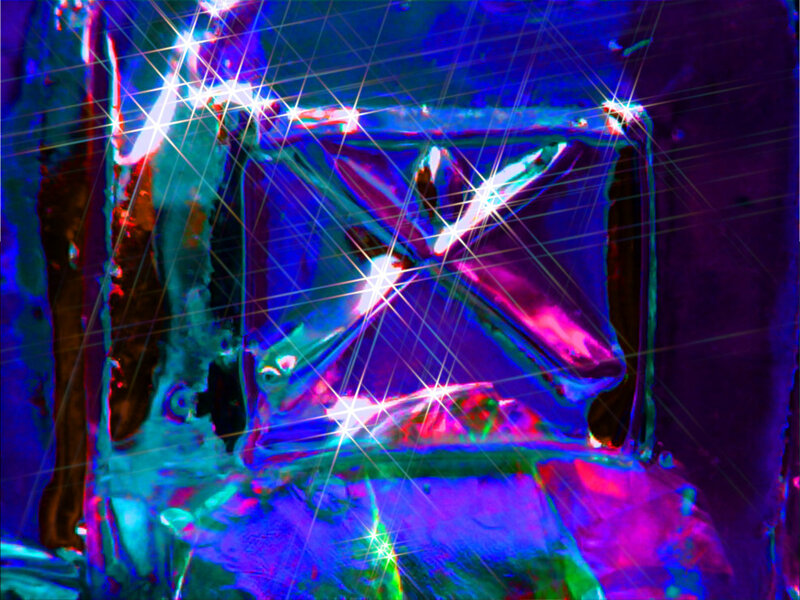 But a contract with your energy mind is a contract with your energy mind, and what Lord Ashtar wants, Lord Ashtar gets as the saying goes, so I kept on writing faithfully. When it was done, I had an unpublishable book on my hands. Unpublishable as in, won't get on the best seller lists. Unpublishable as in, what genre is it? Is it fact, or is it fiction? Is it psychology or is it an autobiography? Where do you place it? How do you promote it? What's the benefits list here? Who's going to buy this and are there enough of them to justify all the expenses a print book entails? I knew quite early on that the new PS book I was writing was not a replacement for the existing original manual from 1993. This wasn't "how to make a habitat step by step for beginners." it was something else. But what, I wasn't sure so I failed to be able to promote it to my publisher, quite spectacularly at that. But who writes a book that won't be published? I certainly don't. And one fine day I realised where it needs to be - in the StarFields VIP club. That's the perfect place for it. Here it can serve as a platform for discussion and research and here is the right audience, people who adore Project Sanctuary and many of whom are PS Masters themselves. Uploading the chapters as they go and over time gives everyone - myself included - a chance to get to grips with the contents and work with this "book" in a more active way than just soaking it up like a sponge in a few sittings. There is too much information, way too much going on with this manuscript. It also gives me a chance to step outside normal publishing rules for books as it is going in html instead of on a one-size page, so I can add images, possibly even audio and video, pop up boxes, and other annotations in the text as I felt was going to be a feature of this project when I was writing it. As an author, I find that quite exciting and as a writer, it offers much potential for many things. Will this be published to the general public at any point? I honestly don't know, if it ever does it will have to be expensive. This is a long manuscript even without annotations or illustrations, well over 280 A4 pages of pure text. You can publish stuff like that in the Hard but the costs are astronomical on every level. I've just uploaded the introduction and the first two chapters to the VIP club. Real PS afficonados can read it there, and for the newbies, the original Project Sanctuary manual remains a treasure chest of ideas and inspirations, 1001 things to do in Sanctuary, and a book you can read over and over again, and each time it will be a different book as the reader has changed aspects through time and reads it afresh. A great solution and I'm really looking forward to pushing the boundaries and discovering new things. That's my heart and soul anyway, I love the spirit of adventure and there is no more wondrous undiscovered country than our own minds, energy minds and what they can do when they get on the same page. Here's to Project Sanctuary 1993 and Project Sanctuary 2011 - now they can even have their own rightful names and that's awesome too! 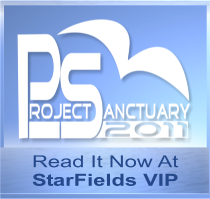 Project Sanctuary 2011 - Available now online at StarFields VIP. 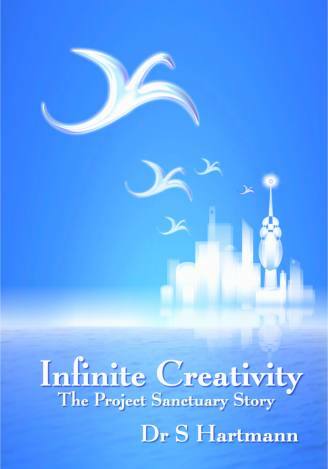 The Infinite Creativity ebook is now available March 1st 2012 here.